MyStompz is available for iPhone and iPad. It allows you to recreate the layout of your effects pedals. You can then store your stompbox settings and never lose them again. 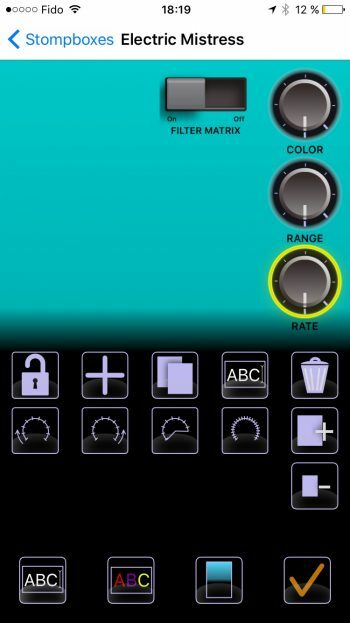 This is the iPhone version – Stompbox Edit. on the upper half you will be able to place your pedal controls (knobs, switches etc.). act on the selected control (upper section of the icons area). By default an existing stomp box is locked to prevent any mishap, but this can be changed in the Parameters section.